If you live in Los Angeles, you have Vin Scully. If you live here in Cincinnati, you have Marty Brennaman. 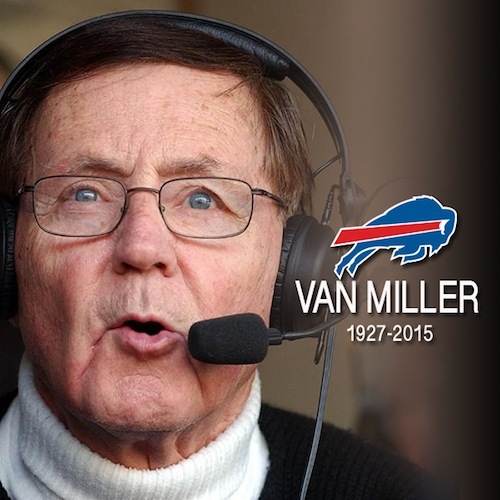 And if you grew up when I did in Western New York, you had Van Miller. 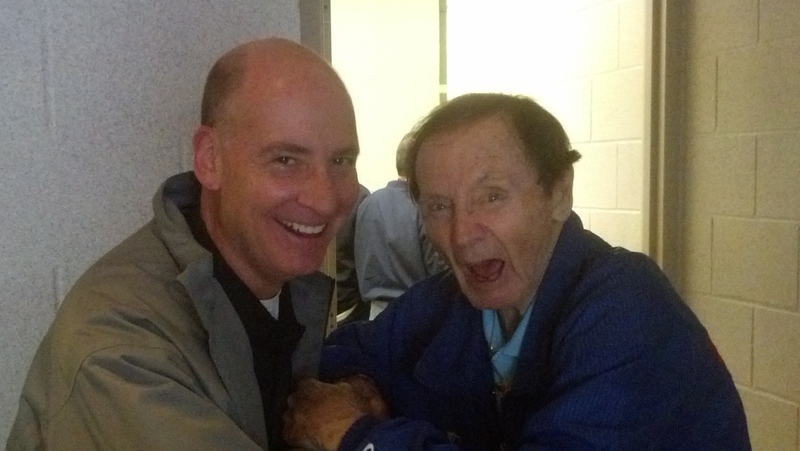 The legendary Voice of the Buffalo Bills died last Friday at the age of 87 and while I only talked to him a few times, he had a profound impact on my life and career. Van was outstanding at all of those jobs, but you could tell that he loved doing play-by-play of live sporting events the most. It’s one of the reasons why that became my dream job for as long as I can remember. Like any great play-by-play announcer, Van provided a detailed and accurate description of the game, but what made him one of the all-time greats was his enthusiasm and flair for the dramatic. Check out his call of “The Comeback” – Buffalo’s record-setting rally from a 32-point deficit to beat Houston 41-38 in the 1992 NFL playoffs. I get chills every time I hear him say, “It is bedlam! It is pandemonium! It is fandemonium! It is…(slight pause) fantastic. Van was also hysterically funny without being snarky. His humor wasn’t mean-spirited – it was more of a gentle nudge than a shot to the ribs. I have never consciously attempted to sound like another announcer, but when I listen to old clips of Van, I realize that my style and many of the expressions that I use were heavily influenced by listening to him. During Buffalo’s run of four straight trips to the Super Bowl, I covered many of their games for WTVH-TV in Syracuse. 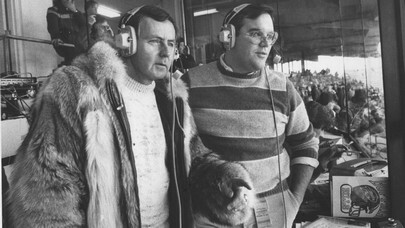 I introduced myself to Van in the press box and got a big kick out of the full-length fur coat that he wore in the booth when the weather turned nasty in Buffalo (usually about mid-September). But I never had a long conversation with him during those seasons. Two years ago when the Bengals played in Buffalo, I finally had the opportunity to tell Van how much I admired his work and that he was one of the biggest reasons why I pursued a career in sports broadcasting. He was delighted to hear that I grew up near Jamestown – not far from his childhood home in Dunkirk. When I asked if he would pose for a picture, Van suggested that we take two – one serious photo and one where we pretend to fight. The Bengals return to Buffalo this year on October 18th. I’m saddened that Van won’t be there. If not for him, I might not be there either.